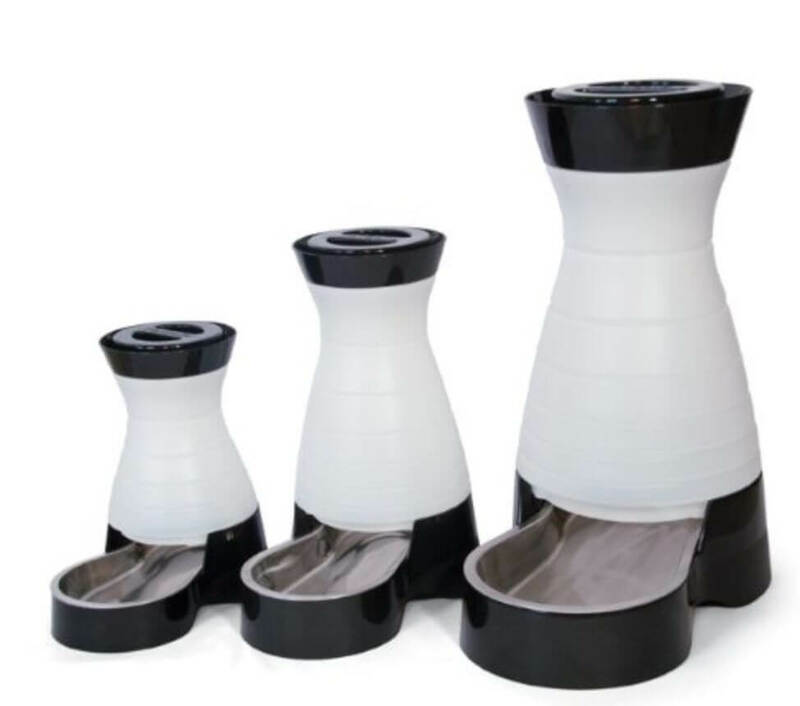 There are a wide range of water fountains and water bowls on the market right now for cats that are able to provide filtered and healthy water. Not many of them however are able to run a system where water is only provided when it is wanted by the cat. The PetSafe Healthy Pet Water Station however is able to do that, with its small water dish area where cats can get water whenever they want it. But how can you know if this water station is the right one for you? 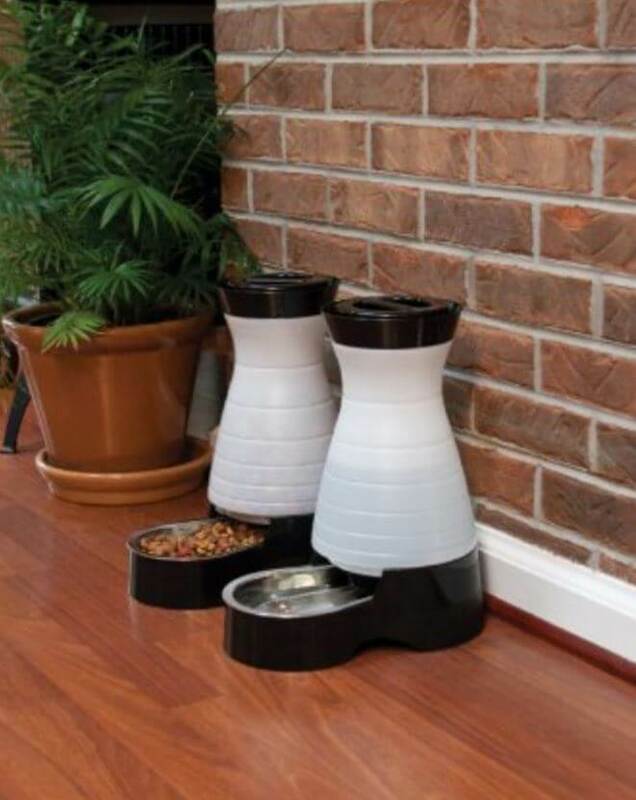 What makes it better or worse than other water bowls and fountains on the market? Here we will take a look at the advantages and disadvantages of owning the PetSafe Healthy Pet Water Station and we’ll attempt to answer any questions you might have so you can decide if this water station is right for you, your home and your cats. Provides Water When The Cat Wants It: One of the problems with most water fountains and water bowls is that they have lots of water on display where it can get dirty the longer it is left out in the open. This water station however eradicates this problem. With this water station, filtered water is only provided for the cat when they want it. This means that this water station is able to save energy and save how many times you need to change the water. This makes this a very cost effective water station. Holds Plenty Of Water: If you have been looking at cat fountains and water bowls that are able to hold a lot of water, you will know that they often prove to be too big for smaller cats and kittens. This water station from PetSafe however is able to hold a gallon of water without that effecting the size of cat that uses it. Because the dish where the water is dispensed is low down, a cat of any size will be able to get a drink in comfort. If you have just a small cat or kitten, it means that this water station will be able to hold plenty of healthy water for a long time. Available In Different Sizes: If however you want something that is designed for the size of your cat, then PetSafe is able to provide something ideal for you. 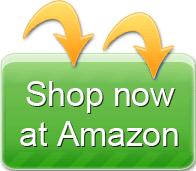 Their Healthy Pet Water Station is available in three different sizes, from 64oz, to 128oz and 320oz. This means that you will be able to pick a water station that is ideal for either a small cat or kitten, or a home that has more than a couple of fully grown adult cats. No matter how many cats you have and their age, PetSafe have the right size of water station for you. Faulty Water Cap: One of the problems with having a water station that is able to hold a lot of water is that it can put a lot of pressure on some parts of the system. In this case, the cap that holds the water in can break on occasion, causing the water to come flooding out onto the floor. This is something that is not exclusively a problem with PetSafe’s water station, as it has been known to happen with other large water fountains and water bowls. To prevent this from happening, you need to make sure that you keep an eye on the cap and make sure that it is secure and working properly at all times. 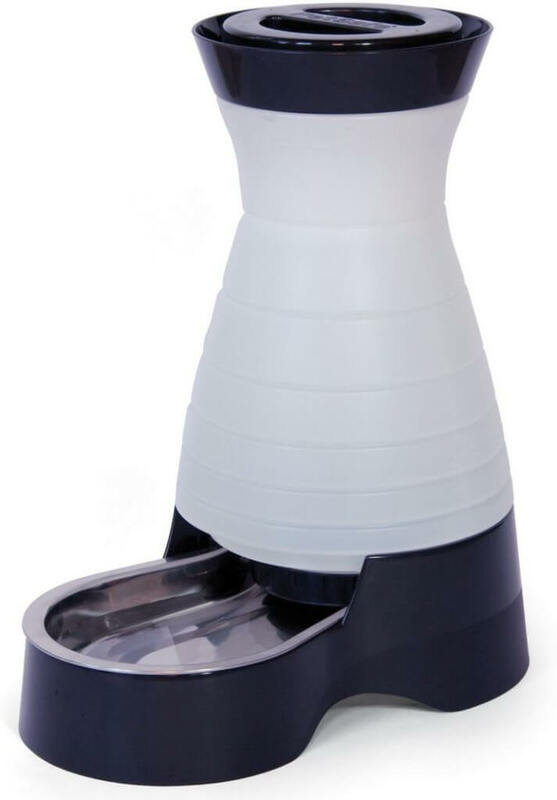 Faulty Tank: Because the PetSafe Healthy Pet Water Station is designed to release water when it is needed, the system realise on the tank releasing water at the right time. Some customers have said that the tank can sometimes fail to release any water at all, leaving the water dish completely bone dry. This is something can be fixed by making sure that the tank is in place properly at all time, which can require a little maintenance. If you are willing to check the tank every now and then it should be able to work properly. Difficult To Clean: Some customers who have bought this water station have complained that it is very difficult to clean, mainly because the water dish is fairly small and the tank and filter are inside a long thin casing. It can be a little difficult to get used to, but if you are able to clean it out properly once a week then you should find it easy to clean over time. The water station can also be placed in the dishwasher, which makes it that little bit easier to deal with. Generally, the smallest water station is considered the best for kittens and homes with small cats. The medium sized one is best for adult cats, while the largest one is best for homes with several adult cats or even other animals. The water station should only need to be cleaned once a week, but it could be more depending on how many cats you have. The water dispenser doesn’t make any noise at all when it is releasing water. Yes, you can clearly see the water level by looking at the station. The station itself is not completely opaque, so you can see the water level without any hassle. The stainless steel bowl is dishwasher safe, while the main part of the station has to be washed by hand. As water station go, this is one of the best on the market right now. Not only are able to buy one that is the ideal size for you and your home, but it also is able to house water so then it is kept clean and healthy for longer. If you want a water station that requires a small amount of maintenance, then this should be considered a purchase worth serious thought.